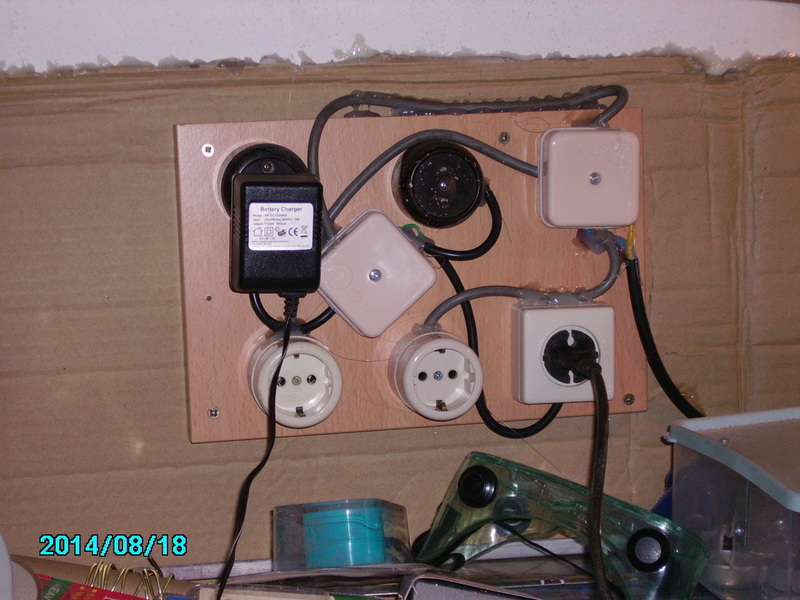 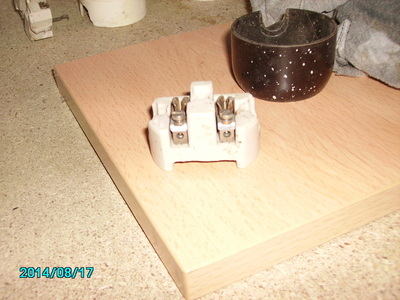 For several reasons this whole Blog is moving back to the old host, so, please, if you fnd something worth reading or viewing in this pages continu to do so on "CT2KET Blog"
New developments...some more power sockets added to the "IT" corner. 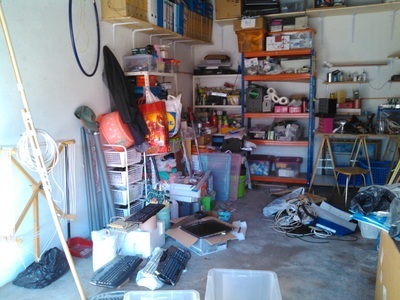 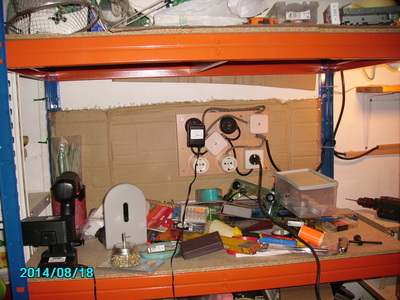 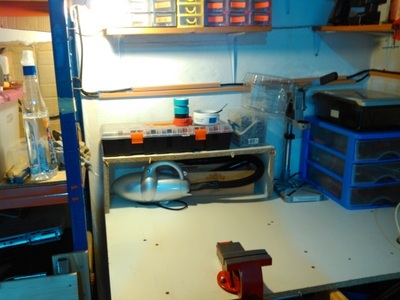 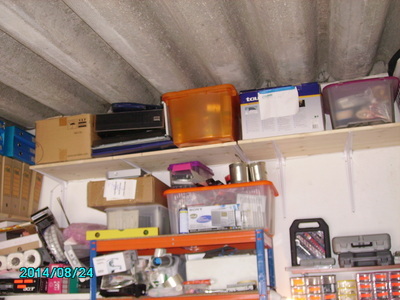 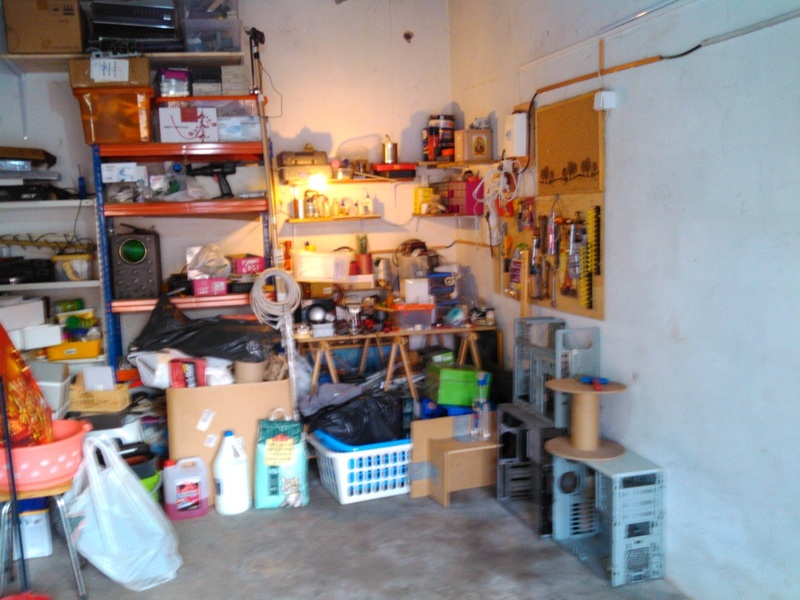 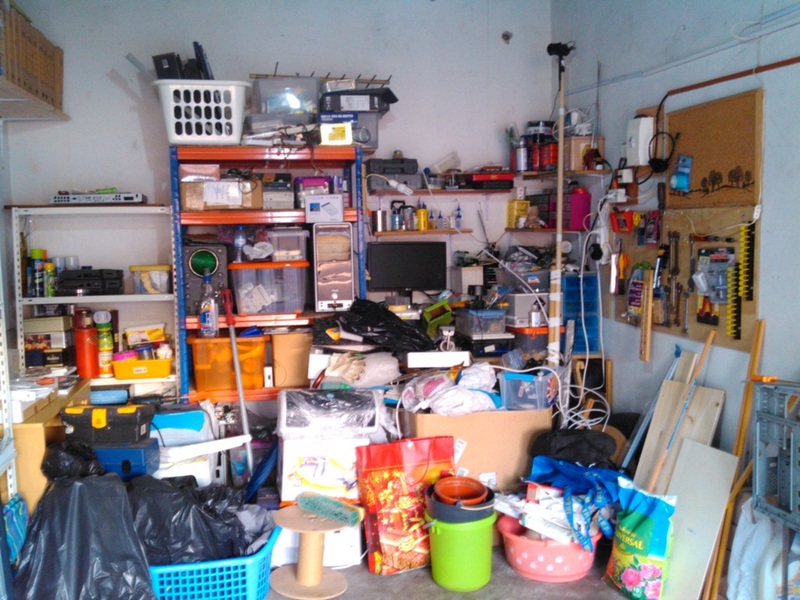 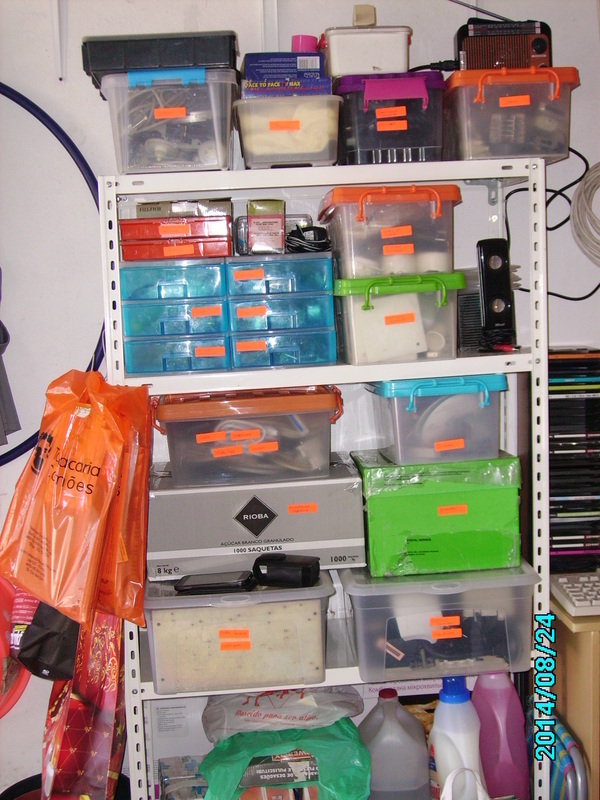 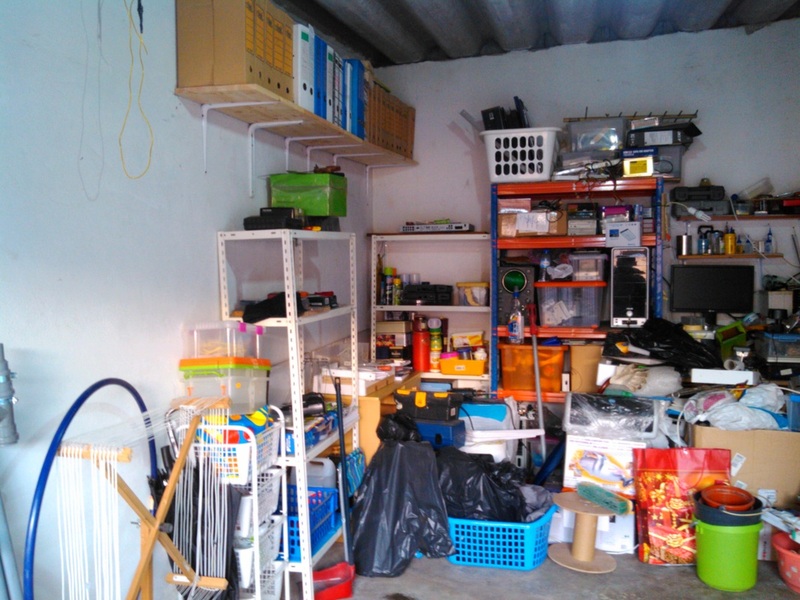 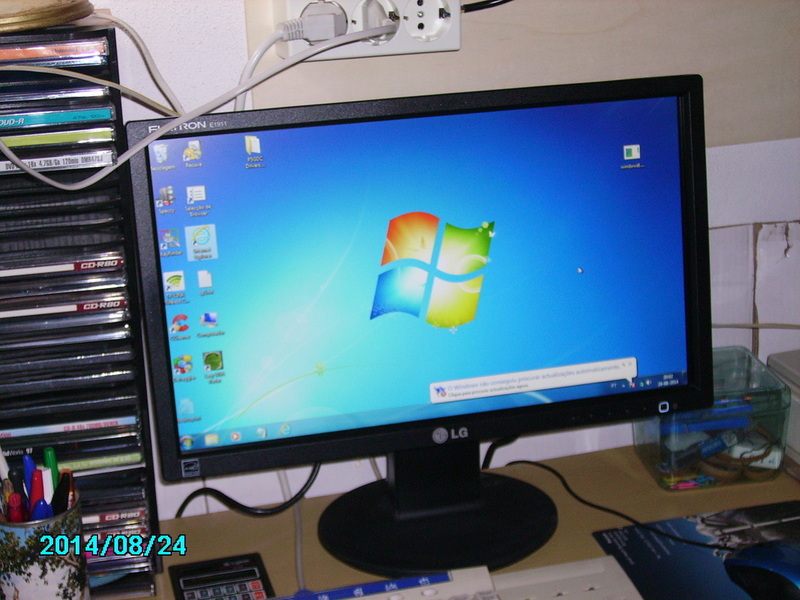 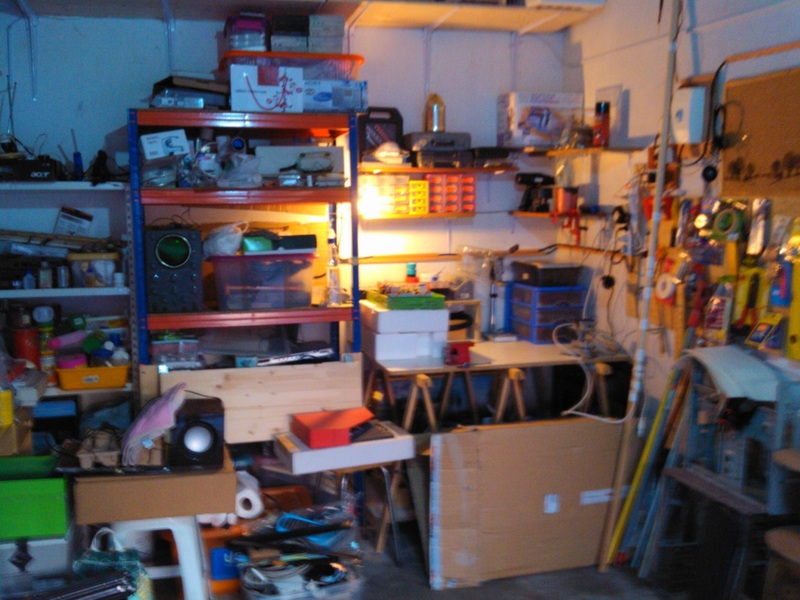 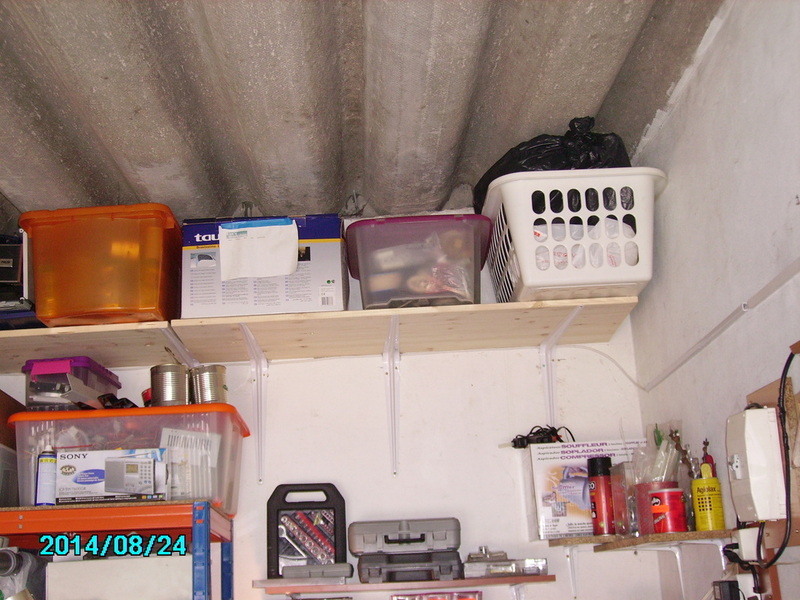 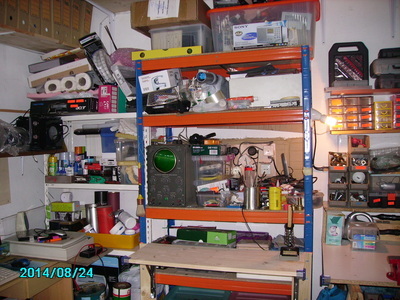 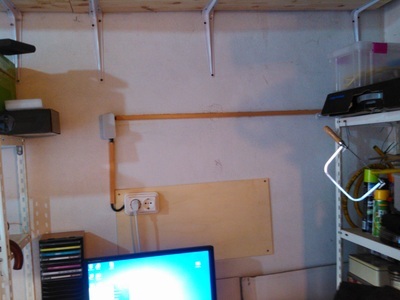 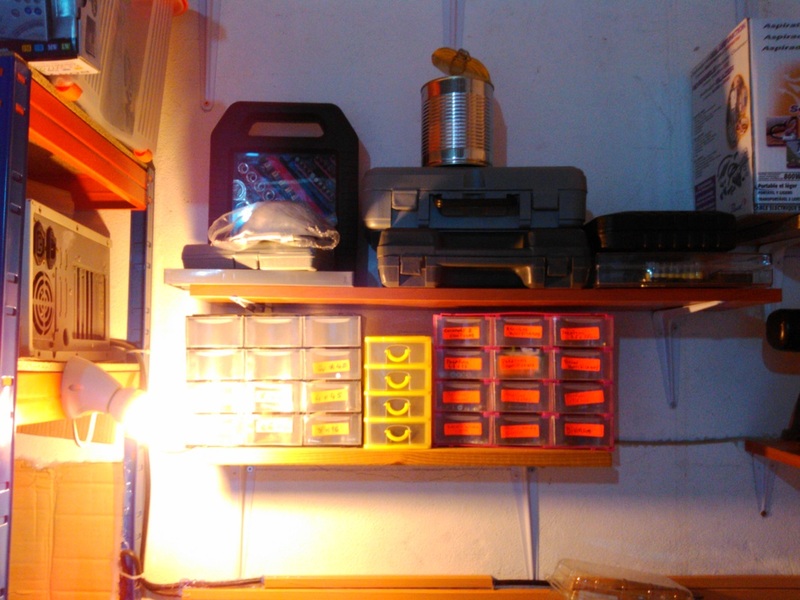 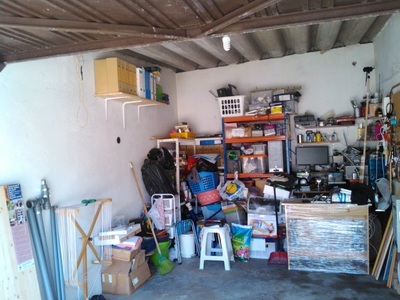 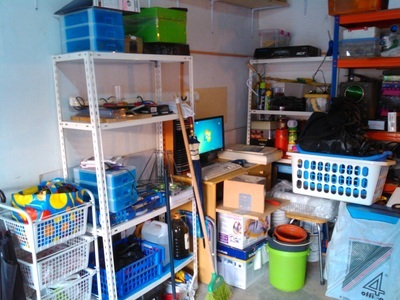 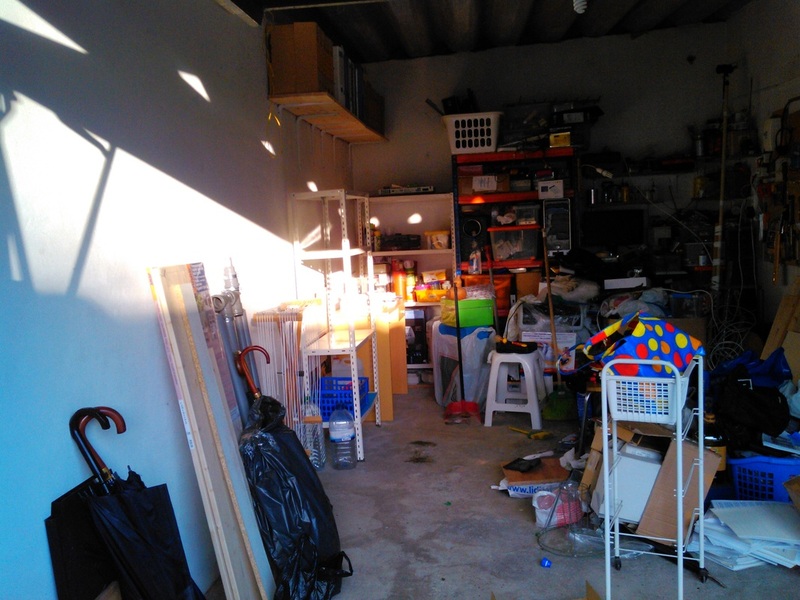 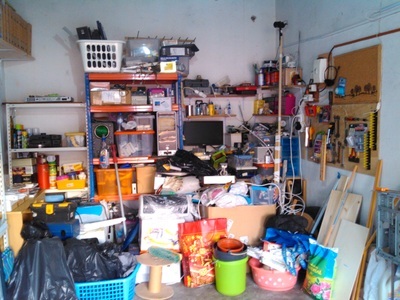 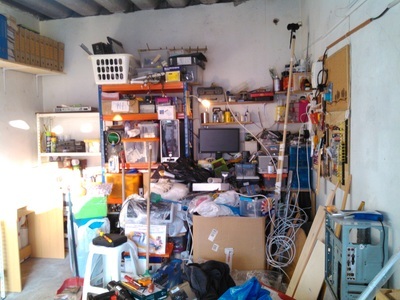 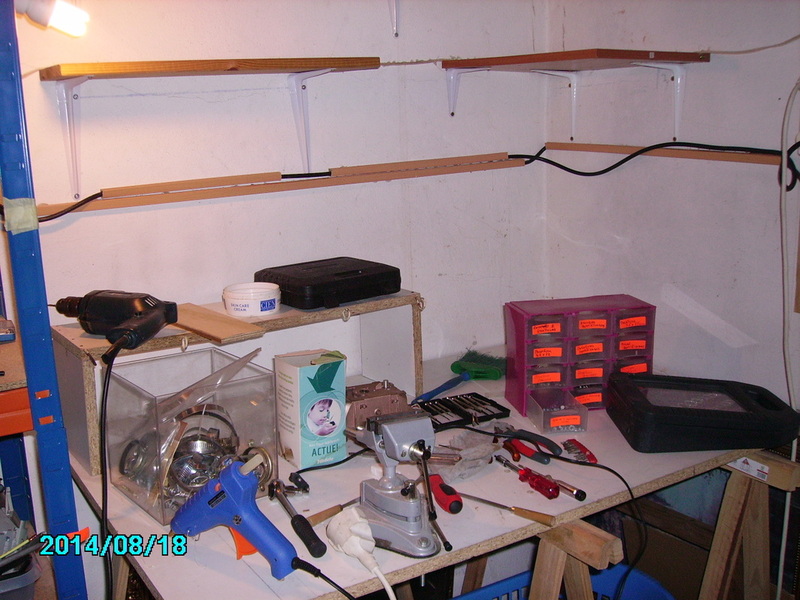 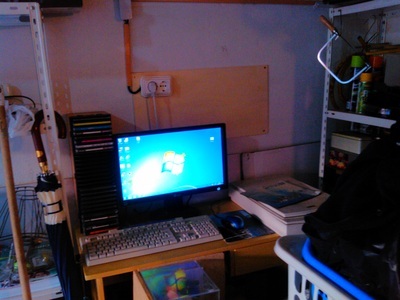 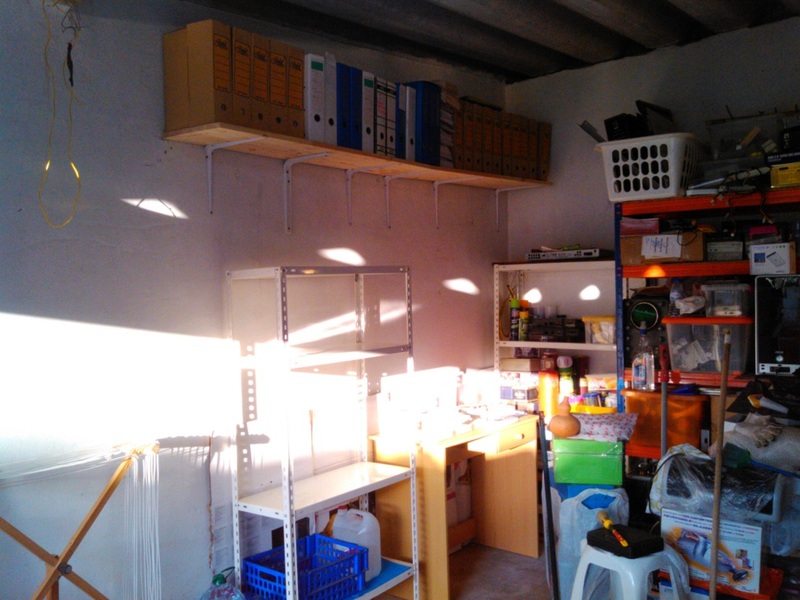 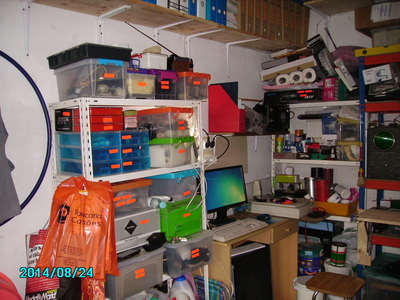 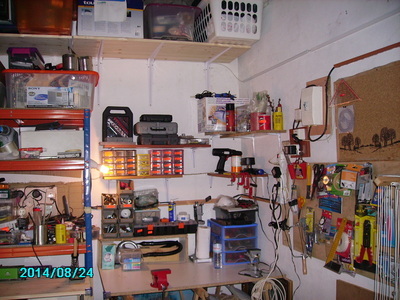 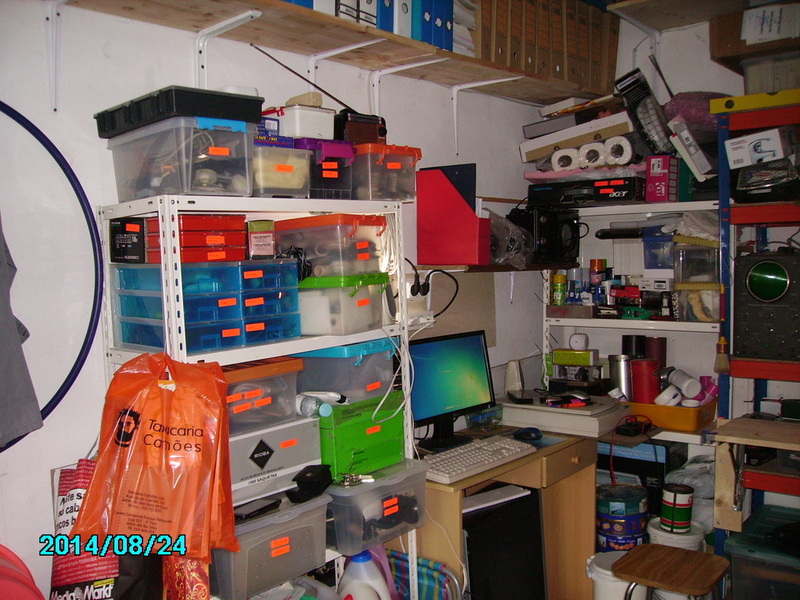 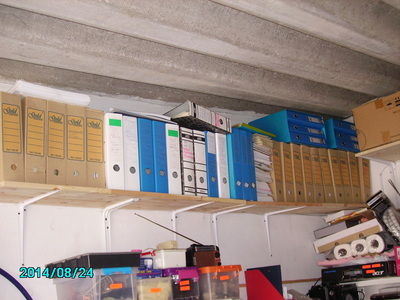 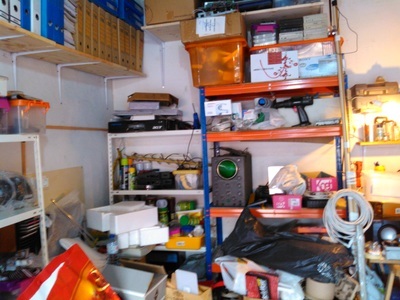 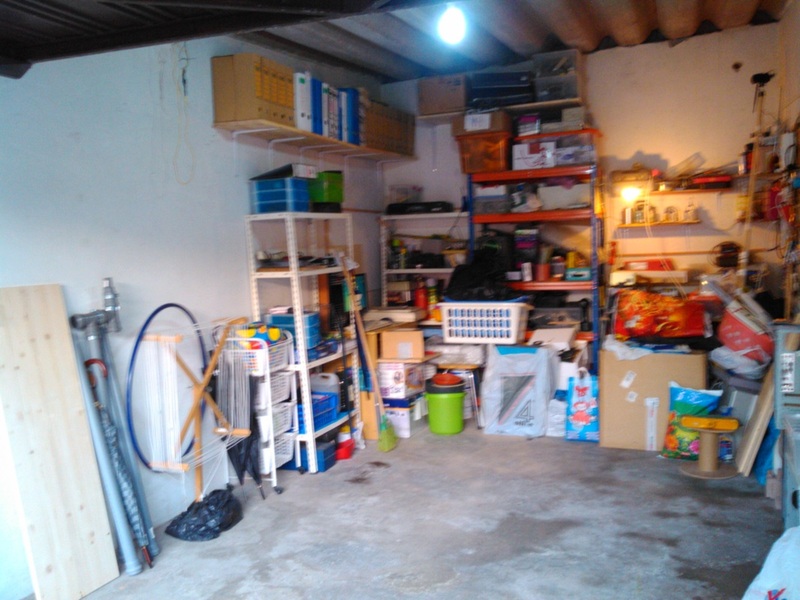 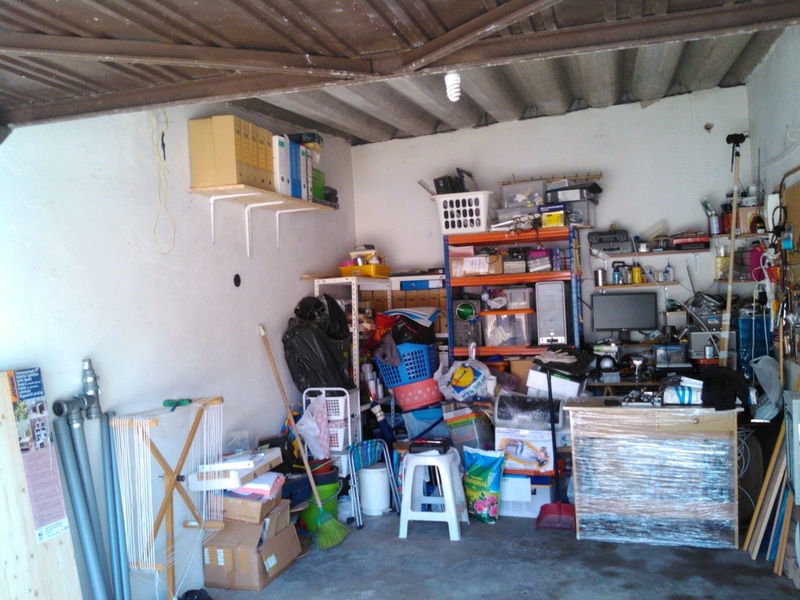 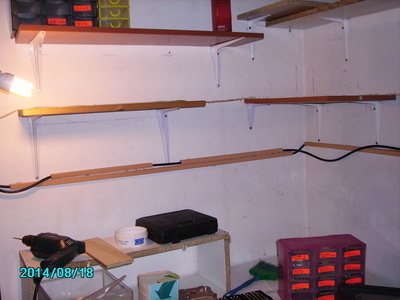 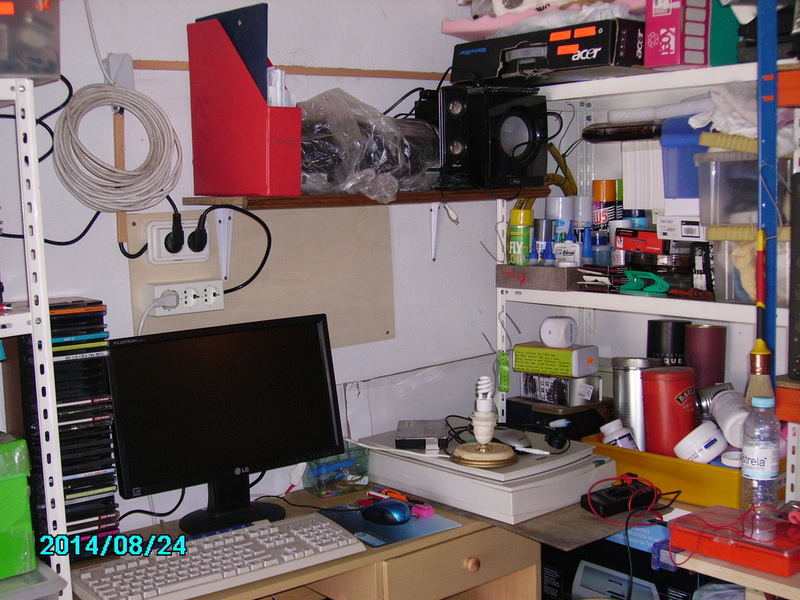 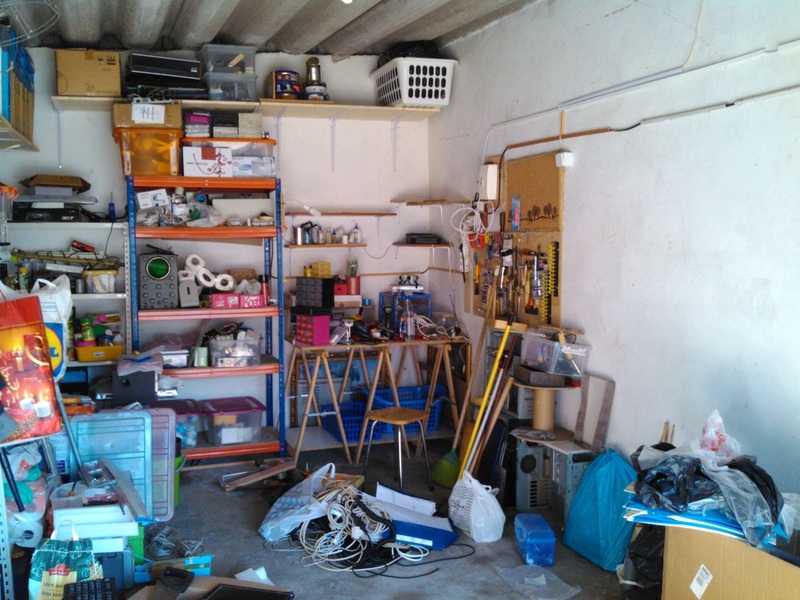 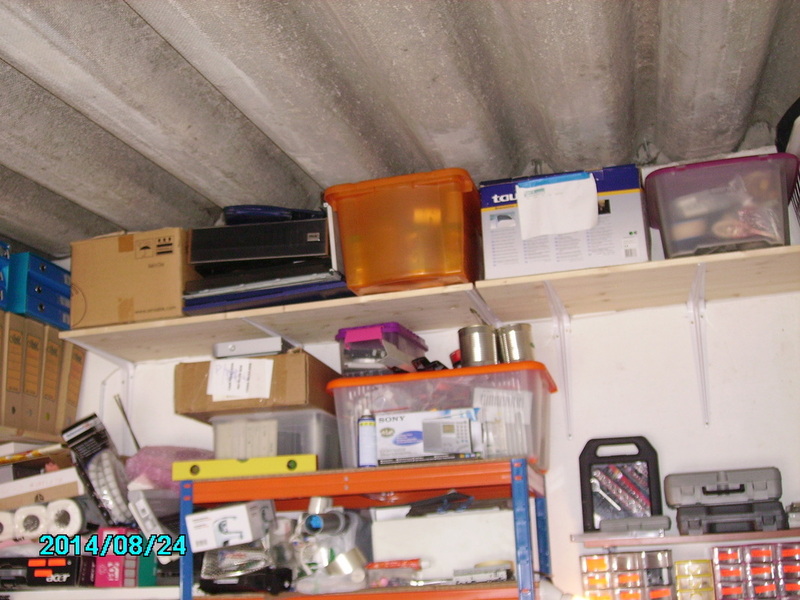 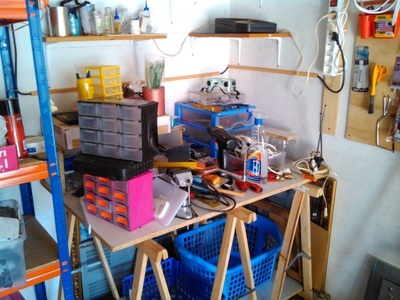 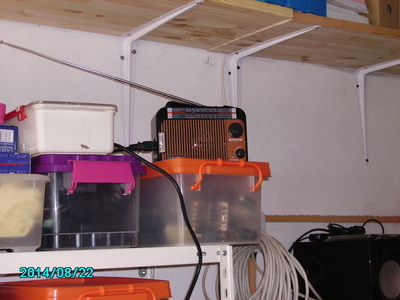 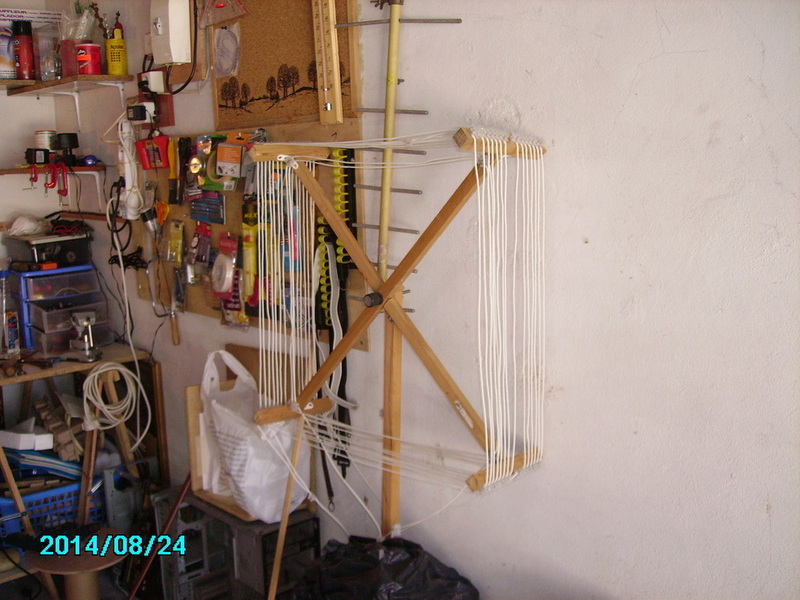 Transfer of documents and assorted electronic parts, from my home QTH, to the now "offical" garage workshop started. 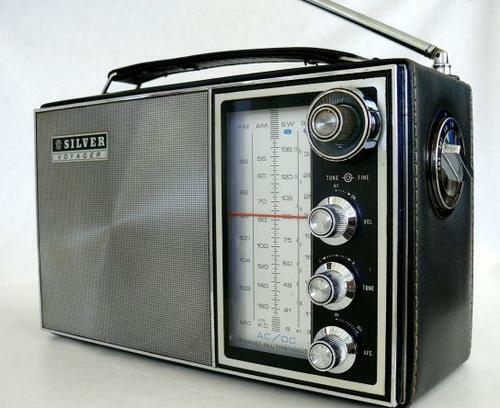 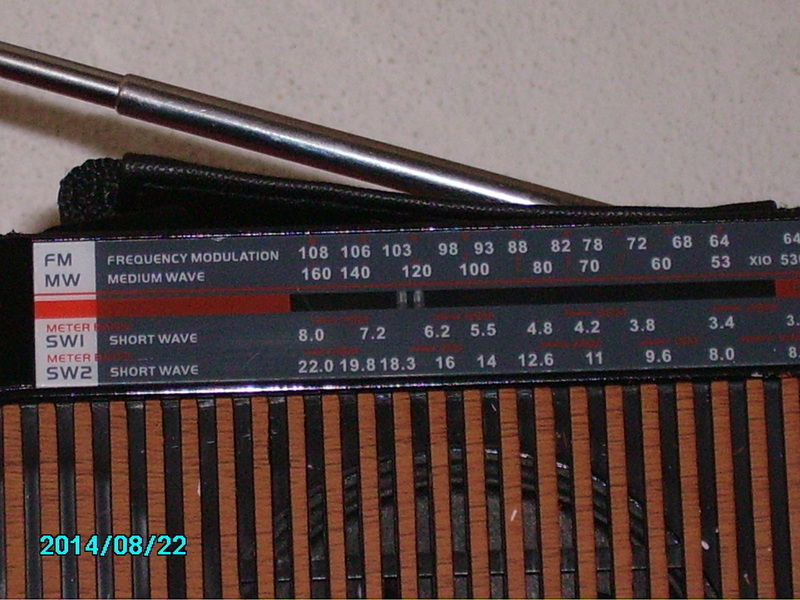 Also some images of an old Heathkit oscilloscope, found last year at a flea market - another project to restore and use! 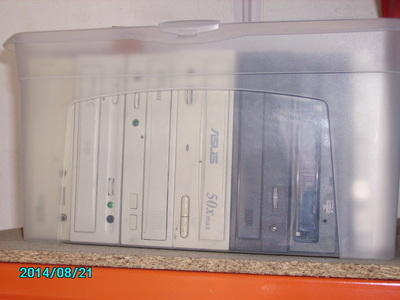 Acquired yesterday. 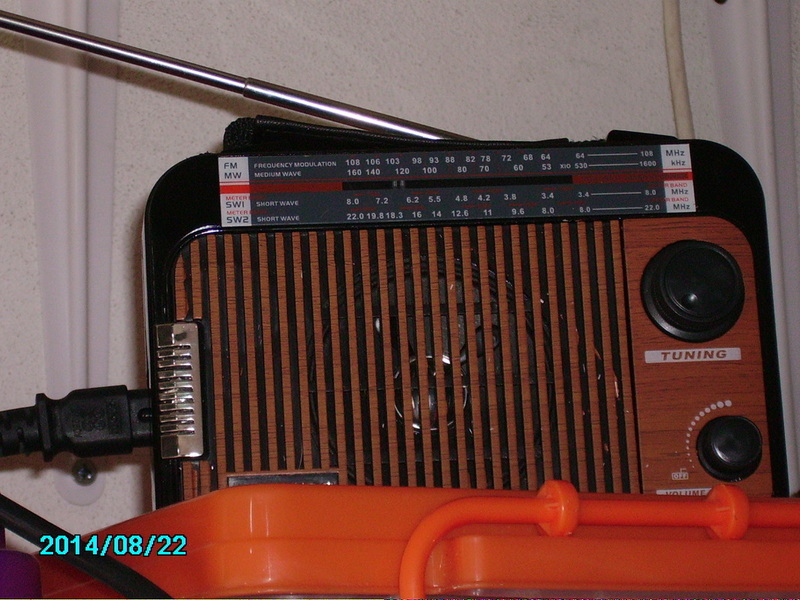 Hallicrafters S-40, but 'm not sure if it's an S-40, S-40A or S-40B. Obviously someone has done a paint job and the model number vanished. 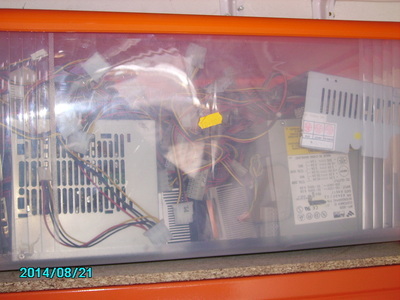 Serial number HA-75854. 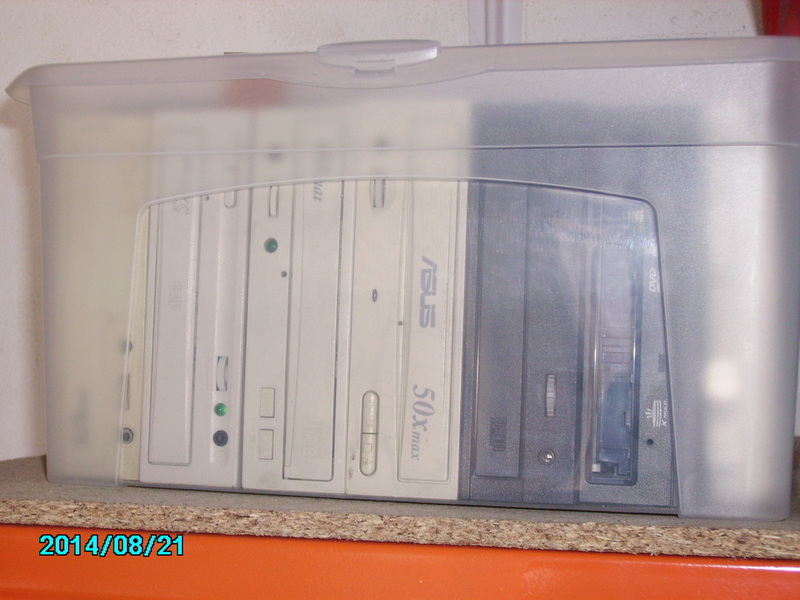 Needs a good cleaning, and technical revision. Works intermitently. I'll be searching for all the info I can and all and every single help and/or advice would be much appreciated. When put back to work it will a "crown jewel" in my QTH!! Well... after several weeks without doiing nothing (in the garage shop) I finally got some spare time, during vacations. 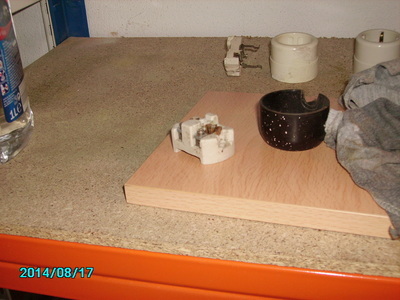 Let me put some images to ilustrate what happened: First step.